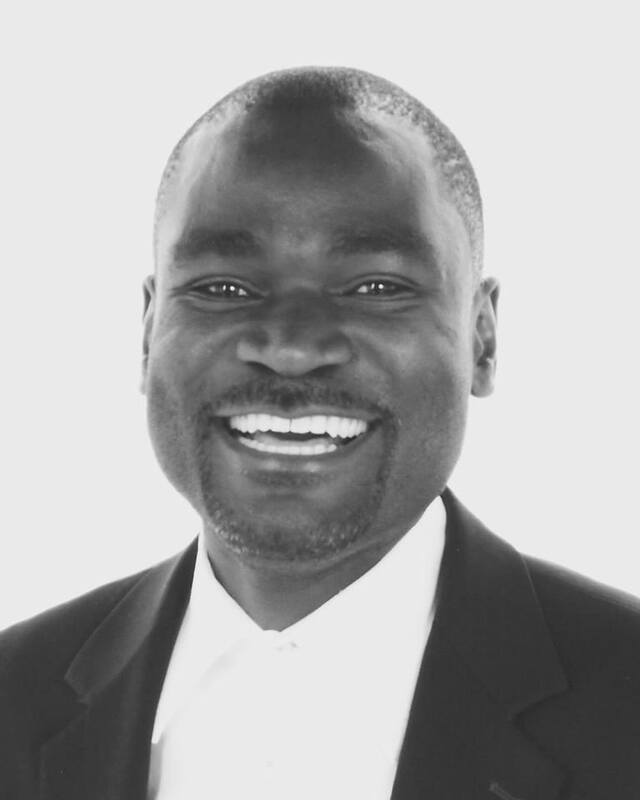 Cuundu Chaitwa: Leveraging the power of regional politics in Zambia | Elias Munshya, LL.M, MBA, M.DIV. Regions are vital ingredients of our democracy. Without regional power and peculiarities, Zambian democracy would have long perished. The best way for Zambia is a heterogeneous political polity and a diverse confluence of various regional patterns and preferences. Instead of castigating regionalism, we must now, more than ever, embrace it and leverage it for national development. The issue should never be about destruction of tribes and regions, but rather equal respect for all and by all. And that includes respecting “cuundu chaitwa”. While we were all intoxicated by the charm of Frederick Chiluba and his team of magicians in the 1991 elections, there was one region that stood firm against the Movement for Multiparty Democracy (MMD): the Eastern province. The Easterners did a “wako ni wako” and decided to stick with Kaunda’s UNIP. Those 25 seats held by UNIP in the east saved Zambian democracy. Those seats assured checks and balances in parliament. They provided a cushion. Had Frederick Chiluba won all the seats in parliament, we would have lost our democracy. In 1991, and years after that, Zambian democracy was saved because a region decided not to follow the whole country in the sweeping of change. Shortly after the 1991 defeat, Kenneth Kaunda retired from active politics. However, he still had interest in the presidency and this interest became a great source of instability in UNIP. Kaunda finally returned to the helm of the ruling party. What ensued was a bitter political fight between Chiluba and Kaunda. The fallout was acrimonious. Kaunda decided to lead UNIP into the boycott of the 1996 elections. And with that boycott Chiluba accomplished what he had failed in 1991 – total control over all the constituencies and all the regions. The MMD’s control of almost all seats in parliament after the 1996 elections led to its natural consequence: Chiluba was going to be “wamuyaya”. He was now commander of the entire republic and as such, his lieutenants in the MMD started promoting a Third Term. He had reason to do that because he had the requisite numbers in parliament and there was no region and no party to hold him accountable. But then another region emerged. After the 1996 elections, it is the rise of the United Party for National Development (UPND) that would help refurbish our democracy. In the ensuing by-elections between 1996 and 2001, the UPND swept all of them in Southern Province. With those wins in the south, Anderson Mazoka’s party was going to develop into a real national party. By the 2001 elections, it was the UPND which had become the biggest opposition party. It had a loyal region in the south and it has been so for many years. After the disappointing fall of UNIP after 1996, there was virtually no opposition of consequence until the emergence of Mazoka. Having one party win all the seats in parliament, has not worked very well for Zambia. When Chiluba had almost all the seats after the 1996 elections, he began to contemplate the “wamuyaya” doctrine. 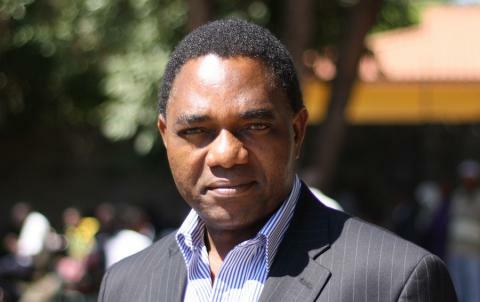 When Sata’s Patriotic Front (PF) swept to power in 2011, the Secretary of the PF, Wynter Kabimba would be heard boasting that Sata and the PF should become the sole party. Kabimba saw the PF’s victory in 2011 as indicative of the fact that Zambians now wanted to have the PF as the sole political party. 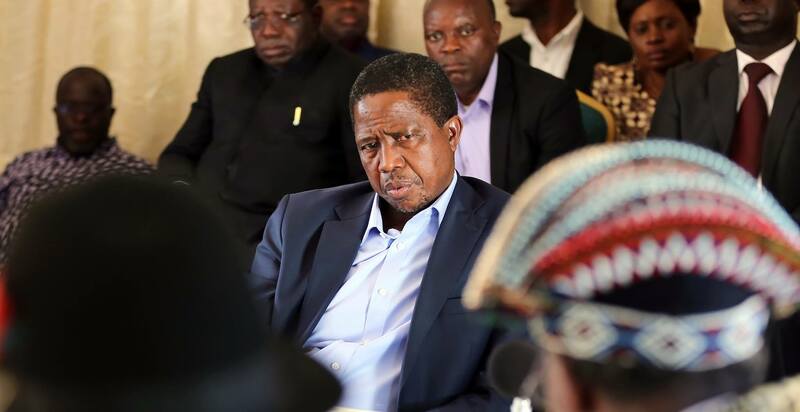 Kabimba’s one-party project flopped because, there was clearly one region that was not going to tolerate his nonsense: the Southern Province. Had the south not been an opposition stronghold it would have been easier for the ruling party to try and push through some undemocratic “wamuyaya” changes. Currently, Davies Chama the new Secretary of the Patriotic Front has also been heard stating that the Patriotic Front might as well be Zambia’s sole party. Indeed, it does appear like the PF is sweeping the East and if they make gains in the Northwest and Western, they are likely to command unhealthily large sections of parliament. The only real antidote to their venom is the faithfulness of the south to the opposition UPND. In the Third Republic, the south has been a great blessing to our democracy without which we would have long gone back to the Kaunda days. So instead of feasting on our condemnation of the political behavior of the south, we all must be grateful that the south has remained a stronghold of the UPND. The UPND’s message is now seemingly resonating across the country and very soon the party might as well grow to become a ruling party one-day. I just hope that if and when it rules, there will be a region that will stand up and say no to the UPND so that we maintain great checks and balances. For now, the UPND and the south should continue holding the PF accountable. Doing so is a great service to the people of Zambia. Zambia comprises regions, and tribes and a dose of diversity. We cannot have any one party dictate how all this diversity must behave politically. So instead of using the One Zambia One Nation as a tool of pretense and hypocrisy, we had better say thank you to regions that have not tolled that UNIPist line and have instead decided to exercise their democratic right differently. Regionalism in Zambian politics will almost certainly bring political players to the table. It will ensure that no one party dominates the entire political process and take us to the abyss. Regionalism will help our country to truly devolve power to the regions and districts. Regionalism will prevent the people of Milenge from voting for a party on a promise that the party will build a bridge in Malambo. Regionalism will help us ask the question: if you need a vote from my region, what will you do for Milenge? It is not enough to get votes in Milenge and then disappear to take development to Mandevu in Lusaka. Lusaka is a region in Zambia but so are Mongu and Kazungula. One Zambia, many regions. Truly we need opposition in our democracy to maintain checks and balances. But opposition should not be regional because that’s what leads some region wanting to breake away from the main country. What we need in Zambia is democracy based on ideas, then we will see development in our democracy and economy. Regional voting does not add any valve to our nation and does not unity us. Just like I will not support democracy based on religion. It divide the nation like Sudan and Nigeria. Also I would not support democracy based on race like SA. It does not help. But democracy that is base on idealogy will not divide the nation. People will focus on party that has the best ideas to move forward the nation. They party that has good ideas gets the majority votes across the nation and is respected by every body in that nation. That is the democracy we need in Zambia. Not regional or tribal politics. Democratic practices started in ancient Greece by a leader known as Lycargus in Sparta. The practices later spread to Athens where Solon and then kleithenes developed the theories of democracy we now know today as classical democracy.In classical democracy competition was not accepted. It was after several years after classical democracy that political competition came to be accepted as a rudiment of democracy. James Madison in the federal papers asserts that liberties are the hallmark of democracy. He further states that where there are liberties there are factions. This sounds like a paradox! He says liberties and factions are reminiscent to air and fire! Without air, fire cannot burn…….this means that if you get rid of air then the fire will be extinguished! Fine! But what would happen to plants and animal life without air? Their would all die! This is what happens in a democracy if you want to put down factionalism! Democracy would die. Mind you! Even though factions are bad, they are the ones which give life to liberties. As we know democracy itself is premised on liberties. Therefore, what we should bear in mind is that we are all selfish! According to John S. Mill man prefers himself and those closer to him than others. If we follow this theory we will discover that in every society there are cleavages…family, ethnic groups, religious groups and so on. Samuel Huntington states that a man from south West Nigeria would be known as an Ibo man, when he travels to UK he will be Known as a Nigerian and when he goes to the USA he will be known as an African. The same here, a man from southern Province is known as a Tonga, when he goes to UK he will be Known as a Zambian and in USA as an African! Therefore, what is needed to consolidate our democracy is to accommodate and protect minority groups considered to have idiosyncratic views in our laws! This is how you can lessen factionalism (tribalism ). In 1972 Dr Kenneth Kaunda extinguished the fire of tribalism by introducing a one party state in the process ‘killing’ liberties. All in all, let us work together to see to it that we find a lasting solution. I don’t whether this is coming from your point of view as a lawyer or from the fact that you love politics and follow it all the way. Your record of events from the past do date are well stated and I can’t find something in your story to put up an argument. This article has made me realise that we truly need checks and balances in Zambia every time one party takes a lead over the other. We really do not want to go back to ‘wamuyaya days’. I concour that majority win by one party, creates ideas that there should only be one party because that is what prople have voted for. I accept, we should not be going backwards to the Kaunda or Chiluba days, where the leader of the winning party would start thinking of going for a third-term because of the mandate from the citizens who have voted for only that one party without opposition. Unfortunately, with so many small parties, votes are mainly shared by two major political parties, as other small parties have always failed to win any seats even one or two of their own constituencies, thereby not creating any opposition in the parliament. Now I am beginning to understand why the ‘One Zambia One Nation’ is not an ideal slogan in a multi-party politics state’. I have obviously learnt something important from your article Mr E. Munshya. Even people we may think are good leaders should be opposed by all means so as to continue checks and balances in Zambian politics. At this point, I may appreciate Tongas for a while, it is just that, their stabbornness is unbrokeable and when they oppose, they really go for it and not leaving anyone behind! Thank you. Dave Mwila LLB.